The chairman of the Federal Communications Commission has revealed that he will vote to approve the proposed merger of Comcast and NBC Universal as long as certain conditions are met. Julius Genachowski December 23 issued a draft order of approval for the merger on the condition that the companies promise to share TV shows not only with competing cable and telecom services, but also with new web platforms seeking to offer television over the Internet. The order was circulated to the other four members of the FCC for consideration, with the agency likely to vote next month. Comcast, NBCU and FCC sources admitted earlier that approval was unlikely before year-end. The Justice Department, which is conducting a separate antitrust review of the deal, has not revealed its thinking, with suggestions that the agency feels that the companies have not satisfied concerns about how the deal might affect competition, particularly in the evolving industry of Internet TV. 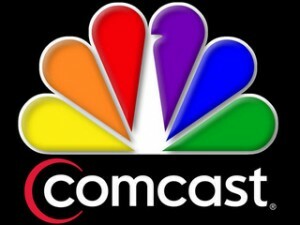 Comcast and NBCU are understood to want to alleviate those concerns with specific commitments to preserve competition. Comcast contends that it has no incentive to withhold shows from competitors or block rival programmes from getting to its customers because doing so would be bad for business. The company has agreed to a number of conditions to appease regulators, saying it would operate fairly as both the owner of television content and a distributor of those shows. “Starting on the day of the deal’s announcement, we have emphasised that this transaction is pro-competitive, pro-consumer, and will deliver real public interest benefits,” Comcast’s executive vice president, David Cohen, wrote on a blog in response to the FCC’s announcement. Consumer interest groups, competing cable and broadcast companies, online television distributors, and some lawmakers, have argued that the merged company might wield too much influence over the fast-evolving Internet and media industries. FCC senior officials said in a press briefing December 23 that the agency found the merger to be in the public interest but had concerns including sharing content with other cable and telecom companies, blocking content to its own subscribers, sharing shows with Internet television companies, broadcast obligations, and diversity in media. Senator Herb Kohl, chairman of the Judiciary subcommittee that oversees antitrust issues, has suggested that Comcast and NBC should divest their stake in the online video site Hulu to ensure that Comcast does not have too much influence online. Although this is unlikely to happen, regulators might require limits to Comcast’s operational role over the Web company. The merged company may also be required to share NBC content with Internet companies, such as YouTube and Roku, if other networks, such as CBS and Walt Disney, are doing so.